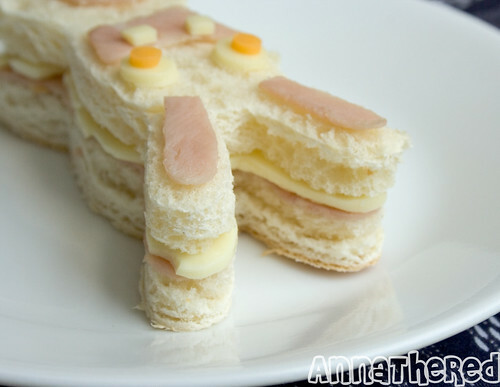 Posted by AnnaTheRed in bento blog (all), bento blog - non bento. My boyfriend eats a snack before he leaves for his kung fu class on Saturday, so I decided to make this. 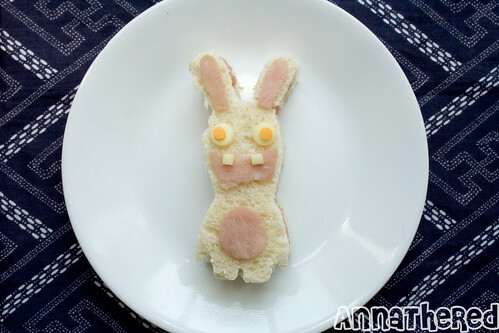 I used the cutter I made for Rabbid bento and Rabbid cookies to cut out bread. 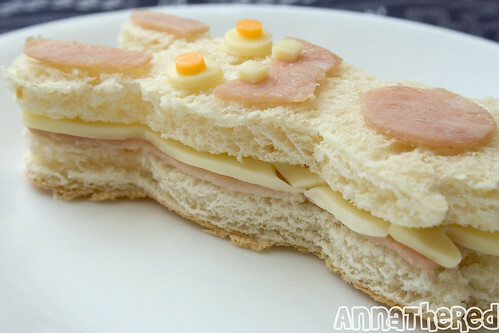 I cut ham and cheese with the same cutter. 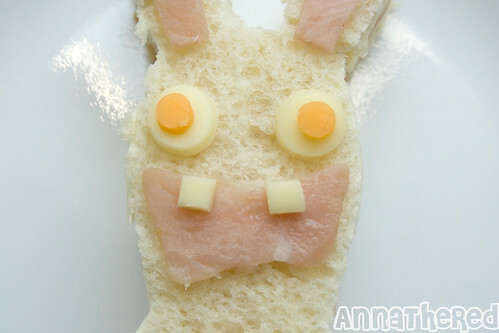 I also cut cheese for his teeth and eyes. I wanted to make more, but I only had two slices of bread.